Those who live and work in Pietrasanta have always known of St Francis Church, the beautiful, discreet church placed in a corner of the town, surrounded by trees and decorated by beautiful arcades, where, in the course of time, hundreds of couples got married, thousands of children got baptized and lots of people bid their final farewell to their beloved ones. 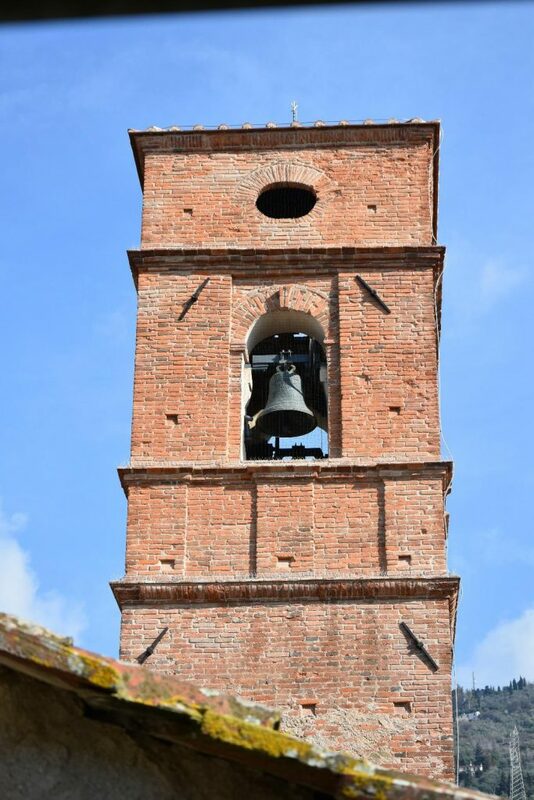 The origins of San Francesco Church in Pietrasanta, date back to the XVI century, when the Franciscan friars moved here from Santa Maria delle Grazie alla Stregaia. 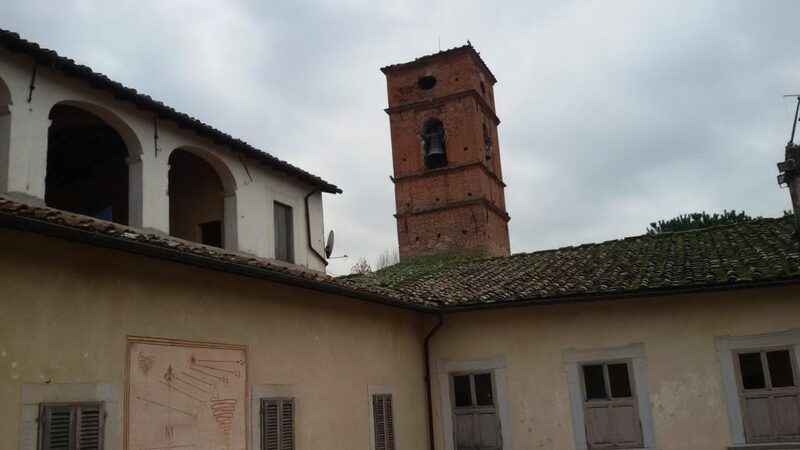 But it was during the XVII century that the bell tower, the arcade, the West wing and the chapel devoted to St Antony of Padua were built, together with the above library and since then, devotees and pilgrims have never ceased to visit it to come and pray and enjoy a spiritual moment in the silence of the Church. But time is a hard master on everybody and everything and, in its course, various structural problems have cropped up, becoming more and more evident, until last year it was decided to intervene to eliminate or, at least to stop the decay phenomenon and prolong the life of the architectural frame and make it as strong and as protected as possible. 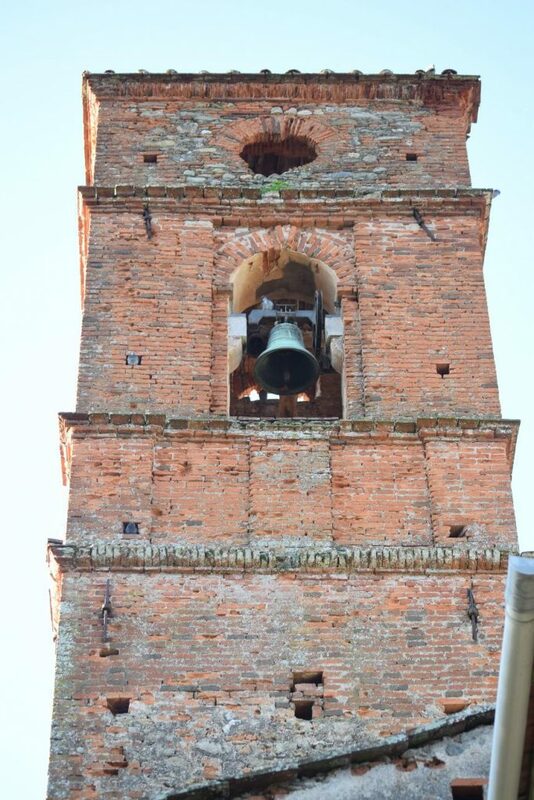 Two were the results that were meant to be achieved with the restoration of the bell tower and the first one was the main one, aiming as we were, to eliminate or stop as much as possible the decay phenomenon. The second one was linked to a philological attitude, since we wanted to preserve the architectural shape and style of the origins at their best, showing no or little sign of human intervention. 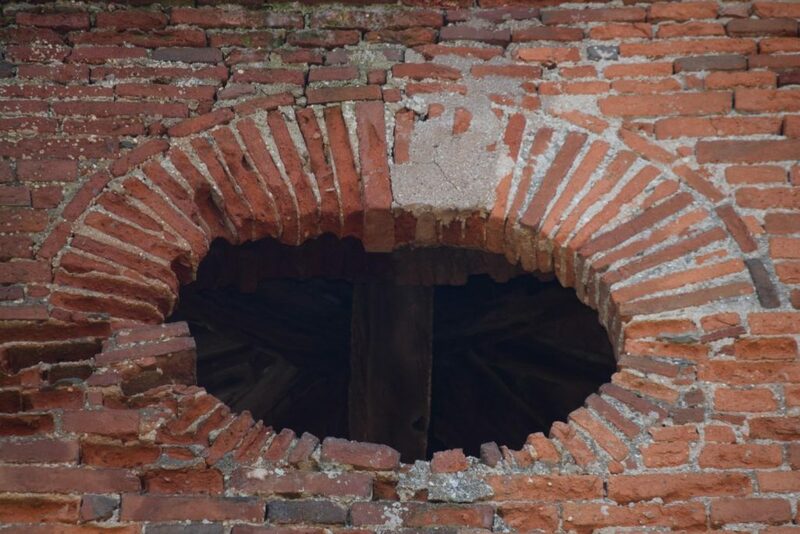 A long period of researches and evaluations started, when material samplings were executed to carry out chemical and stone analysis, that could provide us with the necessary information about the materials used at the origins and tell us more about the bell tower construction history. After creating a map of the decayed areas, the action plan was implemented and works started. The interventions were concentrated on the architectural frame of the bell tower and on its surfaces. It was a long process that included the making and replacement of the missing parts that got lost in time. Apart from the structural works, another very important aspect, not to neglect, was the colour of the restored parts that had to match with the old ones, so as not to show any difference at first sight. In order to get a colour uniformity, it was used a special mortar, created to reproduce exactly the same shade of colour and the same final effect. Works lasted for months and involved engineers, architects, experts in history of Art that together with us contributed to the salvage of this wonderful bell tower that is now showing off its beauty to the world and that very soon will fill people’s hearts with joy and happiness with its wonderful ringing bells.